At Late Breakfast . . . 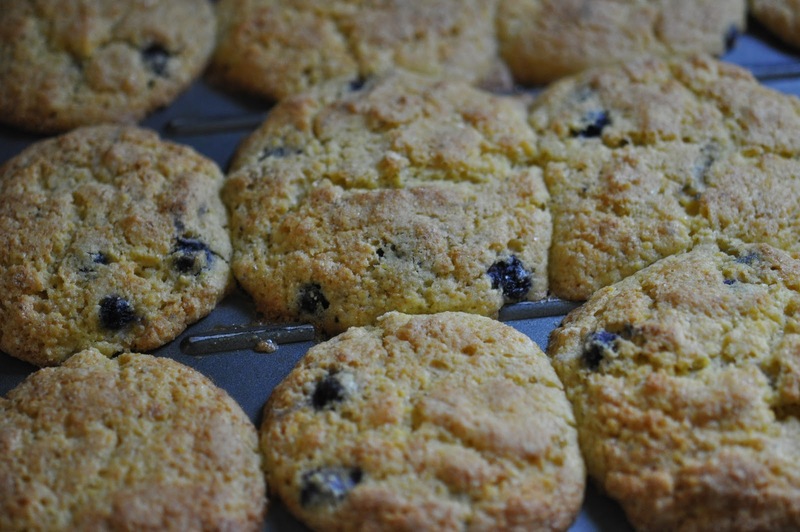 I have found the addition of cornmeal to blueberry muffins kicks them in the right direction just enough to qualify them not just as good, but delicious. I baked this batch of muffins this morning and was not disappointed with the outcome in the least. 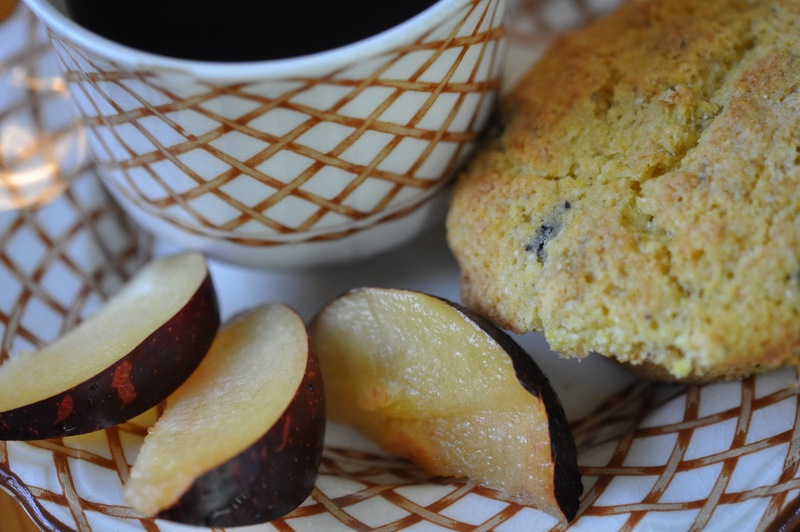 Hot out of the oven with a cup of tea or coffee is a wonderful way to start the morning. 1 cup frozen blueberries of course fresh berries work wonderfully. Pour into an oiled muffin tin. Fill each to the top. or until knife inserted comes out clean. ← Previous Post For the Love of Mistakes . . .
Next Post → A Trip to the Plant Nursery . . .
so… you're gluten-free, too ? i'm going to keep an eye on your recipes !!! there are a few of them on my blog but i need to create a category or some pages apart for them so people can find them easily..